BRYAN EATON/Staff photo. 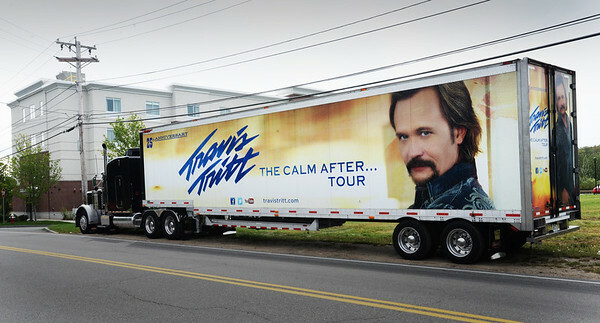 Travis Tritt's tractor-trailer is parked outside the Hampton Inn. He's performing at this weekend's Amesbury Harvest Fair and Country Music Festival.